You don't have to be clad to work here, but it helps distinguish a mini-SUV from a plain old 'mini. 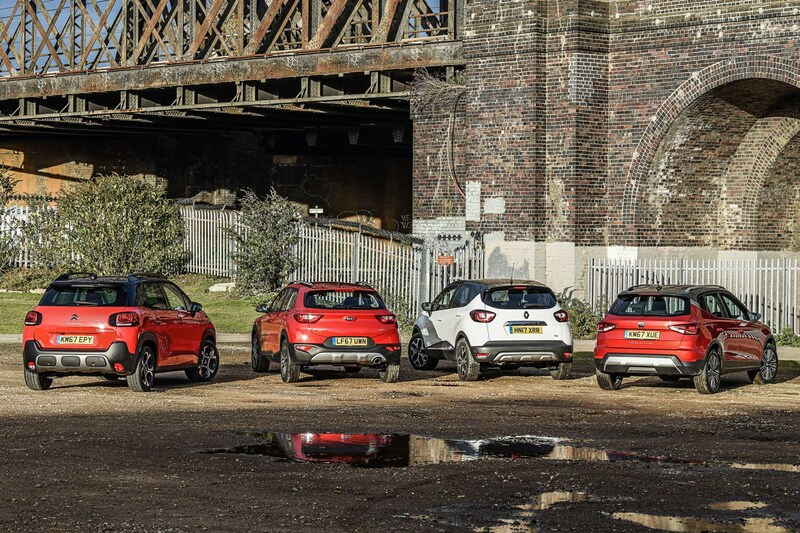 Here, the Citroen C3 Aircross, Kia Stonic, Renault Captur and Seat Arona go head to head. More mini-SUV mayhem? What's under those chunky bumpers? The clue's in the name. And no, we don't mean the 'Aircross Flair S&S PureTech 110' bit, which makes it sound like a Norwegian Royal competing at the Grand National. This is based on a C3 supermini, but with a 54mm wheelbase stretch. 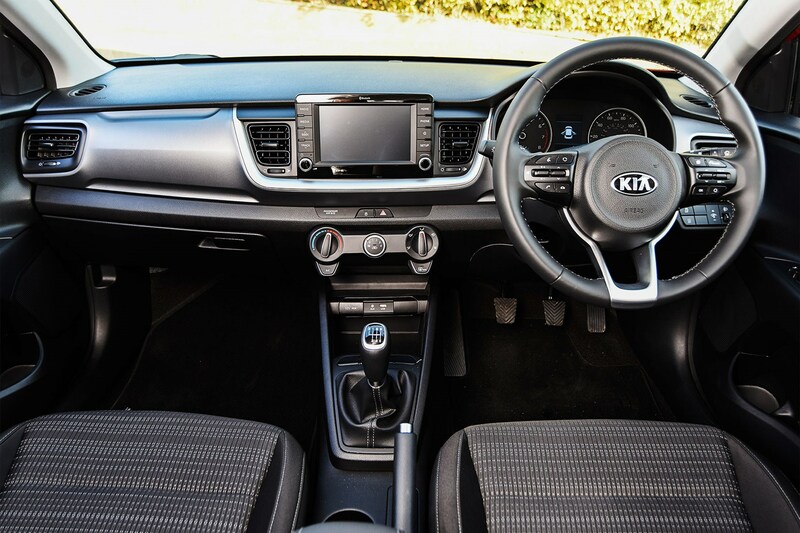 It's only the Rio, Kia's most conventional car. At least the Stonic looks less boring, though it's short on drama compared to its eye-popping Hyundai Kona sister. The name combines Speed and Tonic. Stolid and Stoic seem more appropriate. Think Clio on stilts with a dash more va-va-voom in the marketing push to capture your cash. 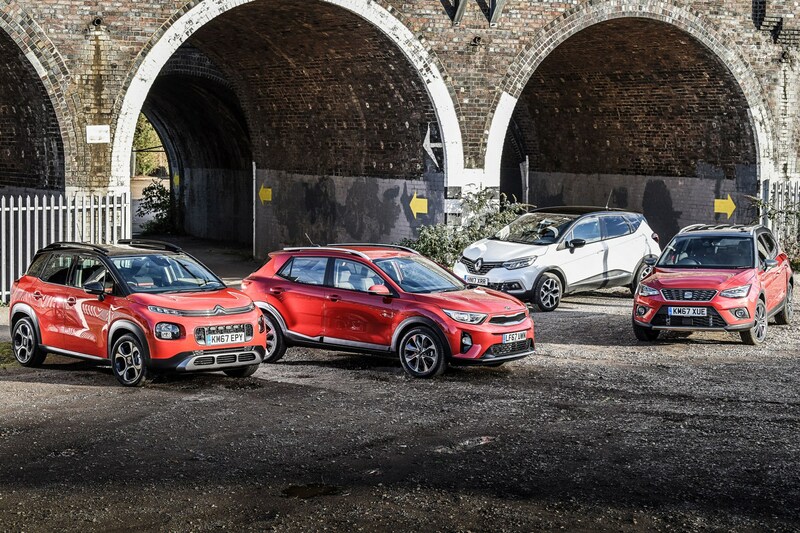 While the other three SUVs here are new, the Renault has been around since 2013 – and facelifted in time to meet this new bunch of rivals. This might be Seat's first baby SUV (and its second of any size after the Ateca), but underneath it's largely based on the same (warning: platform chat ahead) MQB A0 platform used for the Ibiza and latest VW Polo. A slothful 81bhp 1.2 (or thrifty 1.6 diesel) if every penny counts, and a zippy 128bhp turbocharged 1.0 if every second does. Pick of the range is our mid-spec 109bhp 1.0 triple. Basic Stonics come with a 98bhp naturally aspirated 1.4, but the turbo'd 1.0 is cleaner and shows it a clean pair of heels thanks to an extra 20bhp. There's no auto option but you can have a 108bhp 1.6 diesel. A choice of 0.9-litre three-pot and 1.2 four-cylinder petrol engines or a pair of 1.5 diesels. We had the 118bhp 1.2: 0-62mph in a nippy 9.9sec, but its rivals in this test are all cleaner. The usual VW Group parts bin mix of 1.0-litre petrol and 1.6 diesels, both coming in 94bhp and 114hp configurations. Want to feel like you're in the hot Seat? 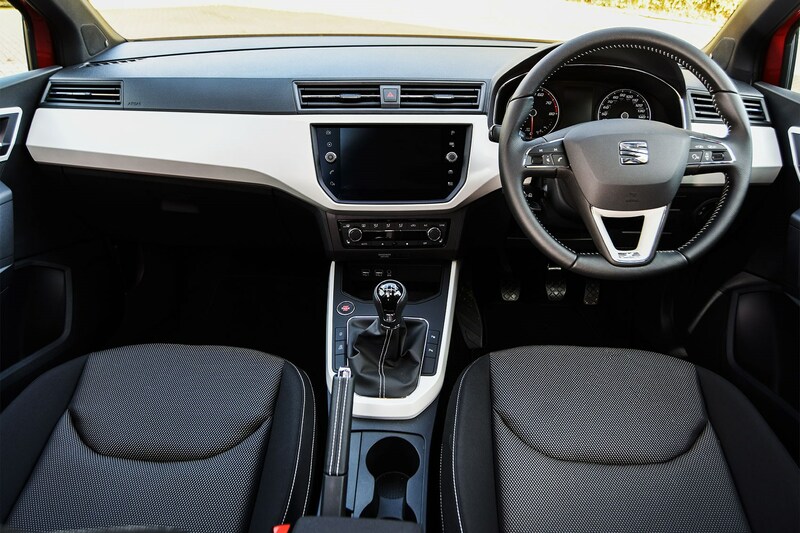 There's a 148bhp 1.5 TSI engine available in the FR. Is it true that SUV is the new MPV? You heard right. 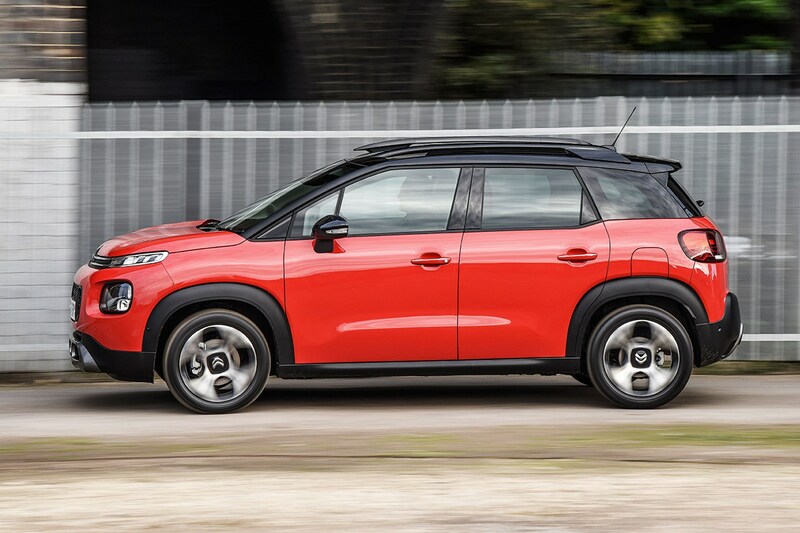 This Aircross replaces the C3 Picasso, and, given its stumpy stance, maybe C3 Toulouse-Lautrec might have been a better name. Anyway, the boot is huge and you get the option of sliding seats. Maybe so, but what that's got to do with a car that feels like neither, we're not sure. The boot is smallest here and you never feel like you're any sitting higher than drivers of ordinary cars. 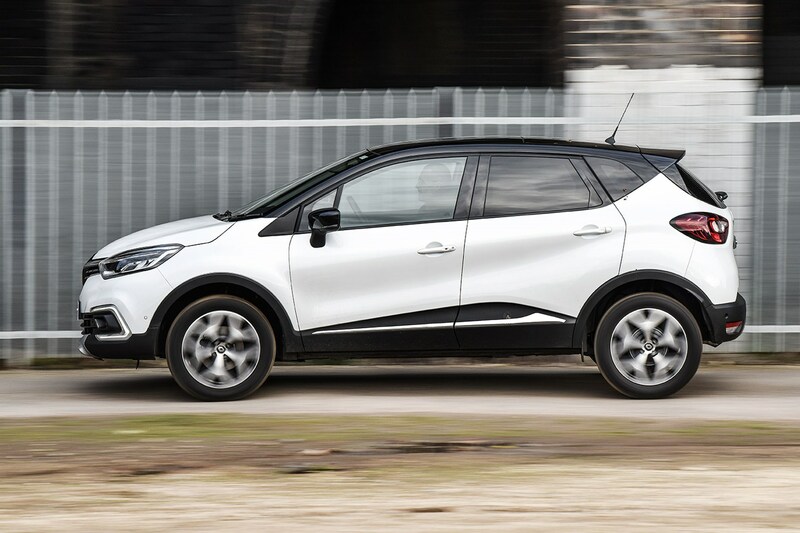 Renault spent years perfecting the MPV craft so it's no surprise the Captur is strong on the multi-purpose bit. A height-adjustable boot floor is standard, as is a sliding seat, though the whole bench has to move as one. There's plenty of MPV-style space in here but the lack of flexibility could easily be a disappointment. The height-adjustable boot floor is useful but the rear seats don't know a single trick. But when do we get to the SUV bit? Right now, but only because our car has £400 worth of optional Grip Control kit fitted. All C3s are front-drive but this option lets you flick the ESP between settings for sand, snow and boring old road. The nearest the Stonic comes to an SUV is being parked next to the Sorento in a Kia showroom. The seven-year warranty means you should never need to spend time off the road in that sense either. Don't hold your breath. 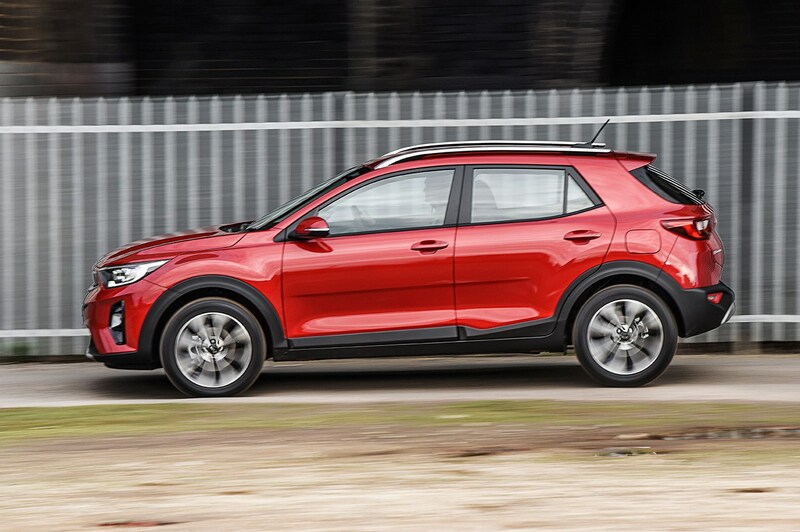 Unlike its Kadjar big brother there's no all-paw option for the Captur or any kind of hill-descent control. Not that you're likely to miss either – surely not a single buyer is looking to use it off road. Maybe in 2018 if the rumoured Arona X-Perience arrives on cue. There's certainly no four-wheel-drive version currently available, though the platform has been designed to support it. No fun off road? What about on it? Aircross is less inclined (literally) to point skywards every time you ease the clutch out than the regular C3, but it's no Fiesta. 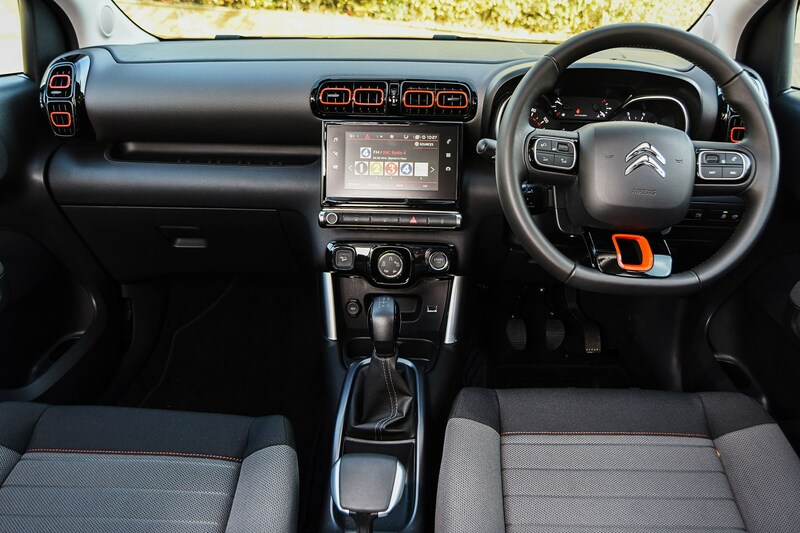 The 109bhp triple is a honey, feeling punchier than the figures say, but the gearshift is overlong. Who's got a picture of Ford handling guru Richard Parry-Jones on the wall, eh? Stonic feels tight through the corners, like a good Ford, but way too tight when it comes to bumps: the ride is awful. RP-J wouldn't approve. Better in the bends than you'd imagine given its vintage, and the gearshift is tighter than the Citroën's. Shame the 1.2 four sounds so characterless next to its warbling three-pot rivals. It's a pointier Polo, just as you'd expect. Good fun to send down a twisty road and does it without the Kia's ride penalty. Engine gruff but effective and the optional twin-clutch transmission is excellent. What's the mark-up over a boring old supermini? You pay a modest £485 premium for adding that Aircross suffix at the lower end (or £1100 further up the spec ladder), but you are buying a usefully bigger car, not just cladding. You can buy a basic Rio for £11,995, almost £4500 less than you'd shell out for the cheapest Stonic. But with equivalent engines the difference is nearer £1500. 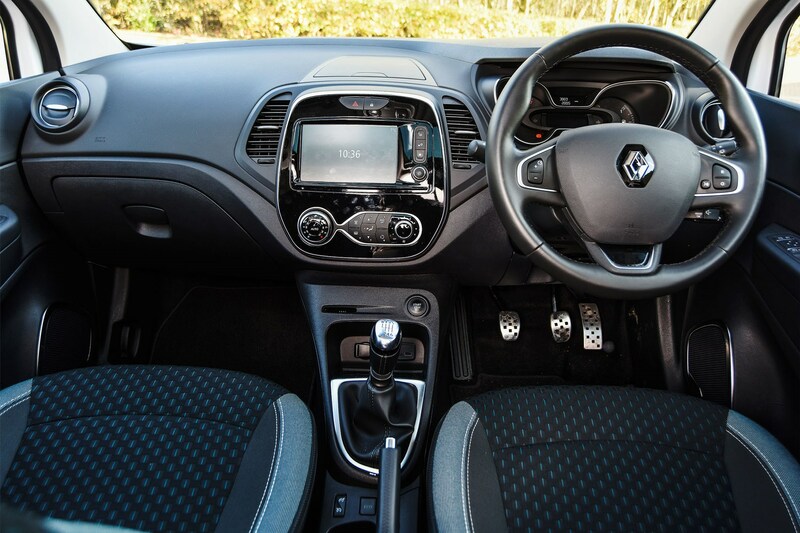 There's almost £3200 difference between the most basic Clio and the entry-level Captur, and even matching the engines and trims it's still more than £1600. 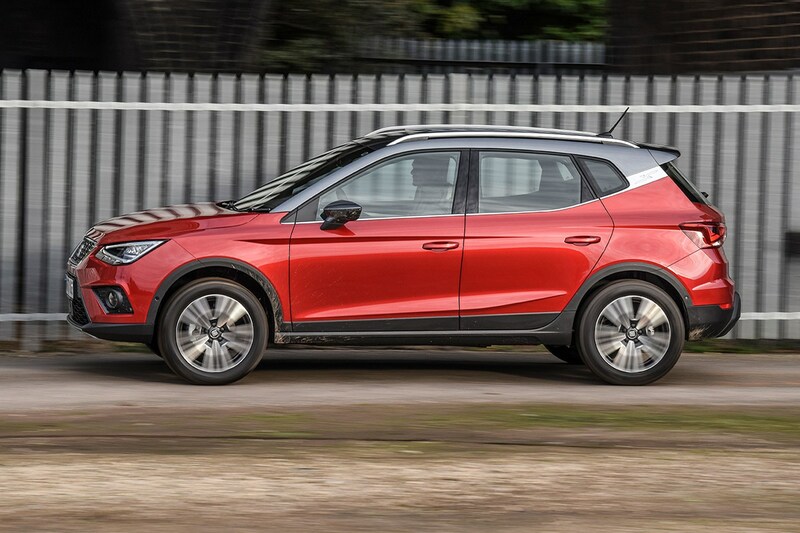 Emboldened by the success of the bigger Ateca, Seat's gone all punchy with the prices: you'll pay £2k over an Ibiza for its most basic high-rise brother with 17s and DAB. Another charm masterclass from Citroën. Not much fun to hustle, but great value, spacious and with bags of character. Priced strongly but it's a surprisingly funk-free effort from Kia and the tidy handling isn't enough to offset the jittery ride. Reasonably roomy and not bad to drive but the engine's short on personality and the cabin has all the fun of a funeral. The safe choice. Looks smart, handles well, but where's the wow? The C3 offers far more space and flair for less folding. *Insurance quotes are from mustard.co.uk and are based on a 41-year-old married male living in Suffolk with nine years' NCD and no claims or convictions. Insurance quotes will vary depending on individual circumstances.